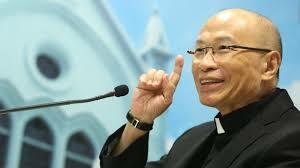 Msgr Michael Yeung Ming-Cheung, bishop of Hong Kong, died this morning at the age of 73. He was hospitalized at Canossa Hospital on December 27th. Yesterday he was taken to intensive care and received a visit from various personalities of the diocese, including Cardinals Joseph Zen and John Tong. Some social media had already spread the news of his death last night. But this morning the diocese issued a statement in which it was said that Msgr. Yeung had had liver problems due to cirrhosis, that his condition had deteriorated yesterday, but that "at present his condition remains stable". And it was added that "It is the wish of Bishop Michael Yeung that there are no visitors, no flowers", adding an invitation to the faithful to pray for him. In the past few years, Msgr. Yeung had battled cancer. Auxiliary Bishop of Hong Kong since 2014, he had been made ordinary of the diocese by Pope Francis in August 2017, to succeed Card. Tong. Bishop Yeung was born in Shanghai on December 1, 1945 into a Catholic family and arrived in Hong Kong when he was four years old. He worked in an import-export company before entering the Hong Kong seminary at the age of 26. He was ordained a priest on 10 June 1978. He completed studies in communications (Syracuse, USA) and in philosophy and education (Harvard, USA). Since August 2003 he had been head of the Caritas of the territory and vicar general since 2009. Rather phlegmatic in his relations with China - above all on the question of relations between Beijing and the Vatican – he was unstinting in demanding respect for Hong Kong under the "one nation, two systems" principle, which guarantees the territory a wide autonomy. With a strong personality, considered by many to be too coarse, Msgr. Yeung has always had the situation of young people in the territory at heart, penalized by unemployment, the costs of housing, the lack of democracy. In one of the last interviews given to AsiaNews, he said: " "Our young people are victims of economic development, they are very frustrated because they demand more justice and more freedom. Yet they are impatient, they seek immediate gratification. But you cannot plant a tree in the morning and catch the fruits in the evening. It is urgent to reach out and be close to young people to help them discern, to help them in their daily lives so that they understand and live the call of Jesus. It is necessary to help them to mature in a spirit that gives them the strength to go forward". Last June, during the ad limina visit to the Vatican, he had asked Pope Francis to be able to resign as a bishop soon to devote himself to his commitment with Caritas, whom he loved so much. The diocese of Hong Kong has an auxiliary bishop in the person of Msgr. Joseph Ha Chi-shing, already regional superior of the Franciscan Order of the Friars Minor of Hong Kong.